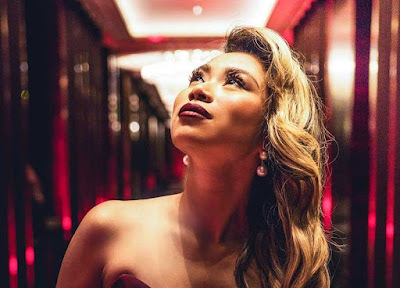 I had the chance to watch Jessica Sanchez performed on stage last night at The Theater at Solaire, Nov 10, 2018. Sure, I know she can sing being part of AI Season 11 but never realized she can hold an audience with her runs of rhythm and blues and divaesque style. I'm now a believer! Believer that she really looks like Maymay Entrata.